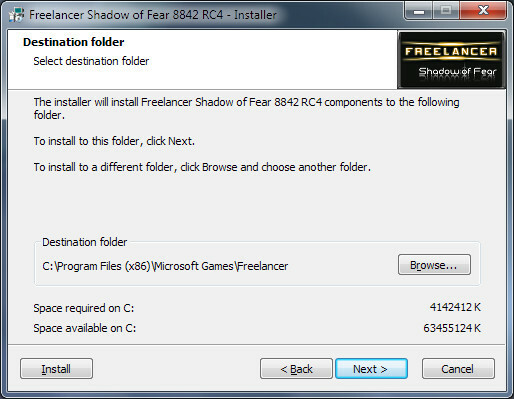 To play Shadow of Fear you need to install a fresh copy of Freelancer. The vanilla 1.0 installation is good to go (yes, no further patches or updates are needed) and the guaranty for the best mod perfomance. You also need to have a look whether or not your Savegame Directory from another Mod or Freelancer itself is deleted or renamed (\My Documents\My Games\Freelancer) if not, please do so. 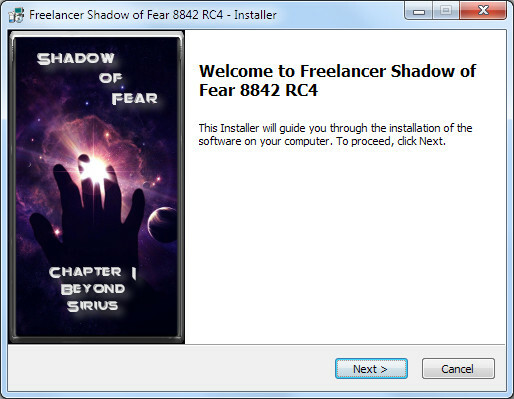 Now download the Shadow of Fear Installer (clickme, i am a link). Before you can install Shadow of Fear you need to install Freelancer. The best method to get the best mod performance is the Installation of a plain Freelancer (“Vanilla”) without any update, patch or community created File. 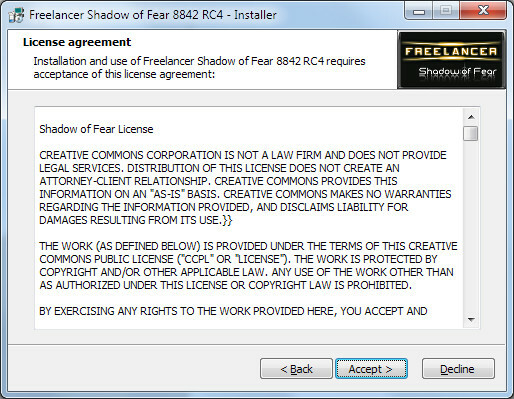 Shadow of Fear comes with everything needed except Freelancer itself, due to it’s copyright. After you did so, run Freelancer once to let the Game create new Save Game and Setting Folders. It is strongly recommended not to use former Save Game Directories or Settings. Please rename or delete exsisting Freelancer Save Game folders! 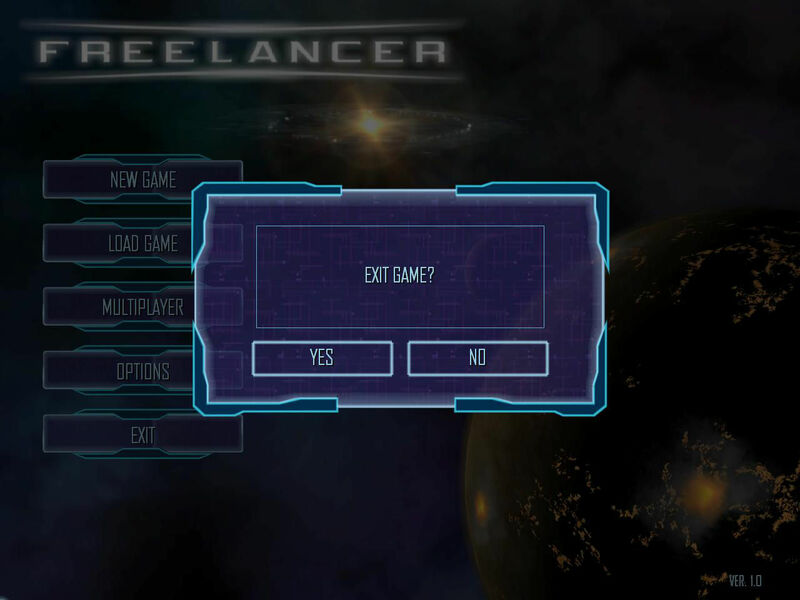 Just start Freelancer once and exit the Game, so the Settings and save game folders are build. It is strongly recommended not to use former Save Game Directories or Settings. I know we told it before but this is the main reason for corrupted installation processes. 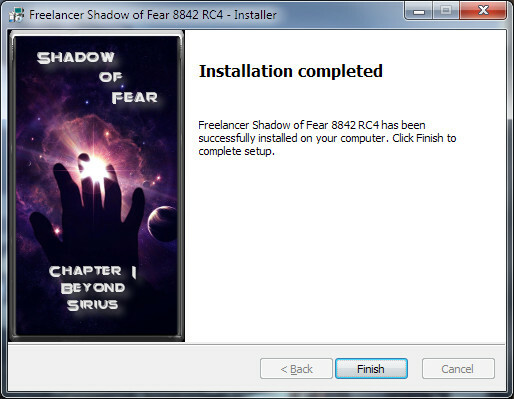 After Freelancer is installed, start the Shadow of Fear Installer which you downloaded a few steps ago. (it needs a little time to start because of it’s size). You will get this window after you downloaded and started the Installer. When starting the Shadow of Fear Installer, please be patient, it is giant and needs it’s time to start. exact Size on your HD (NTFS 3.1): 1,62 GB (1.741.373.440 Bytes) – depends on your Operating- and used File System. unpacked Size including Freelancer: nearly 5 Gigabyte. The copyright of the game files stays of course the one from Microsoft and Digital Anvil no matter what you might have heard it’s always this way while modding files. You may choose whether or not Anyone on your computer or only you will be allowed to use the installed Files. The Destination Folder of Shadow of Fear must be your Freelancer Directory! The Installer is recognizing that you attempt to install in a directory which is not empty and is asking for your permission to do so. 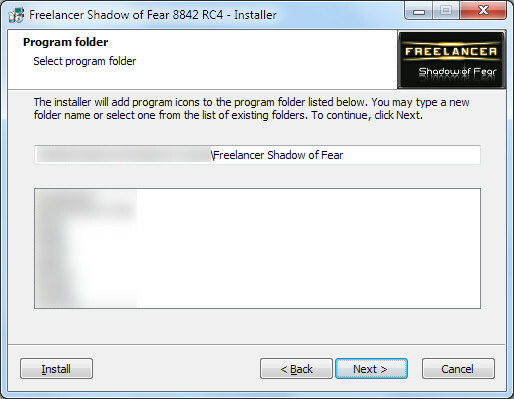 If you do not get this window while installing Shadow of Fear, you will not be able to play the Game, because the core Freelancer Files are missing and your Installation will Crash upon Application launch. 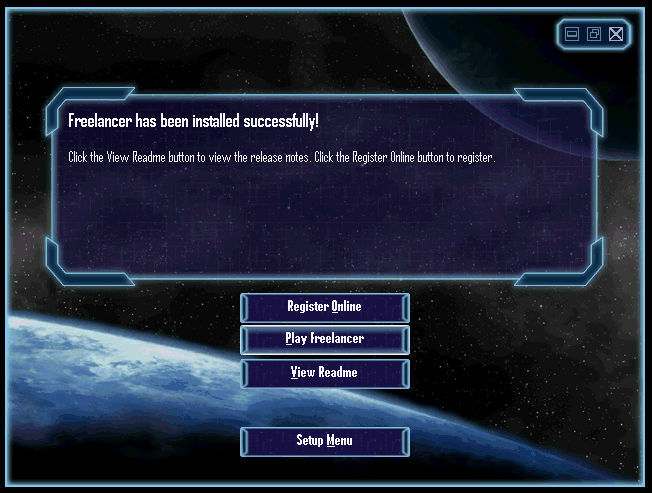 Just press ok so the Files will be installed, overwriting the Freelancer Installation. Step 8 You can either put Shadow of Fear in every exsisting Start Menu Folder or make a new one. Here you may decide about additional placements of Shadow of Fear Icons. A Start Menu Entry will always be build. Please check if everything is ok an press Install to start the Installation of Shadow of Fear. Well done pilot, you managed to install Shadow of Fear. Not everything is done yet, because you need to change the resolution of the Game for the best Game experience but you should be able to start the Game now. The last Window contains a readme file. This File when checked shows our Credit Page together with the Changelog Page. Hopefully we did not forgot someone to mention but if so, just inform us on our Forum, so we can add you to the table. 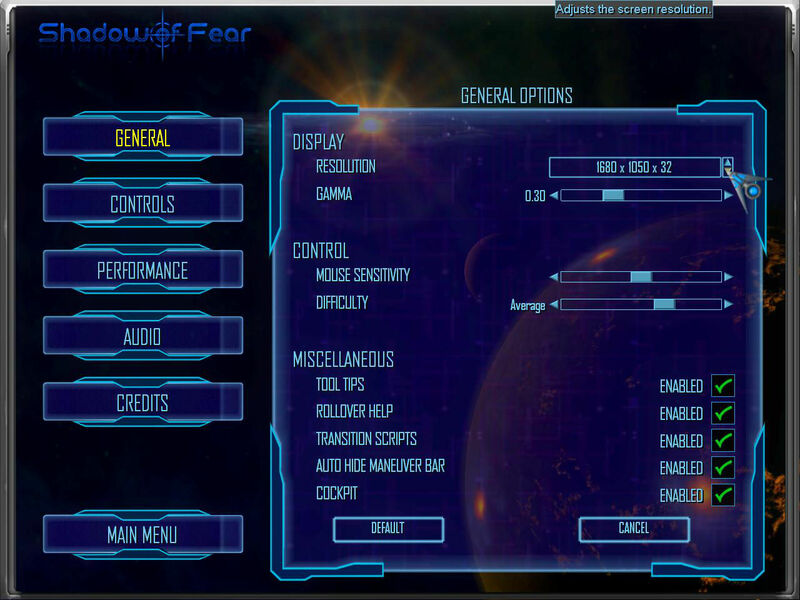 You may notice, that Shadow of Fear’s general ssettings was greatly improved and updated. The screen resolution can be changed “on the fly”. You will find your desktop setting being listed within the resolution settings. That way you must not alter your resolution manualy. The difficulty slider is a setup option for the strength of NPC’s when playing the Game in Single Player. It won’t work in multiplayer. The performance settings got an update too. The options are now containing a wider range of possible detail ranges to be altered. 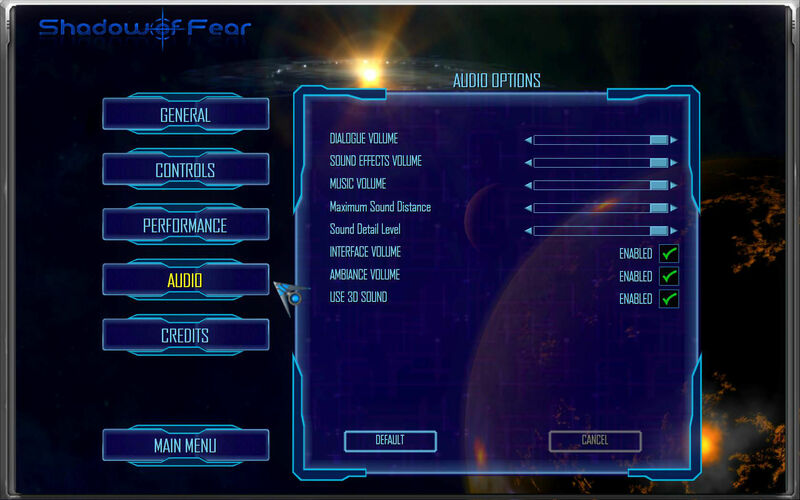 Shadow of Fear comes with a completely reworked audio setup. We strongly recommend to use the 3D Sound Option checked, so you will get the best soundexperience and get a tactical advantage because you know where your enemy is coming from. 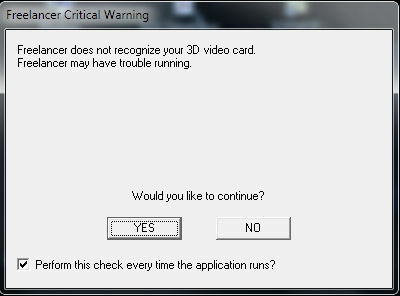 However, if you occur problems when for example jumping through a Jumpgate or Jumphole, try to uncheck the 3D setting. Two more sliders are integrated into the setup so you have a wider range of settings to be used. 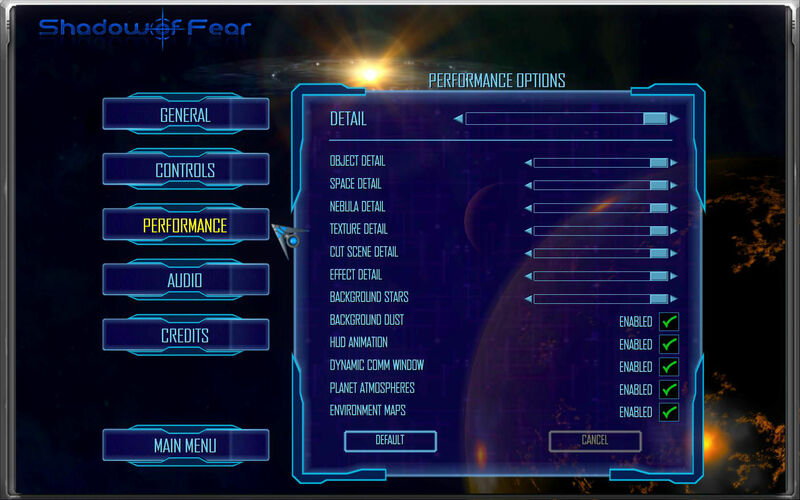 The current version of Shadow of Fear is displayed in the Main Menu Screen. We are at Version 2.0 Build 8842 RC4. Needed updates will be rolled out via a pre launched updater or in some cases before you connect to the Multiplayer Server. This means that you need to adjust your firewall settings before you are going to start the Mod. One word of warning may be allowed: do not change any files or your character will be automatically imprisoned upon launch. Thanks in advance. In case of an update you will experience the game closing after you started it. This situation is followed by a Window which will ask you to update the Game. 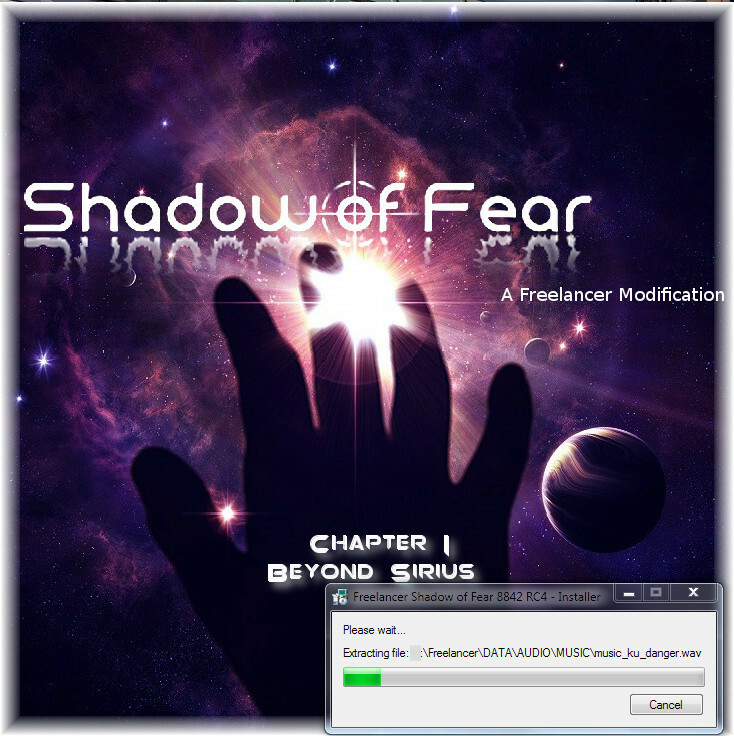 After the installation is done Freelancer will be started and you are able to connect to the 24/7 Shadow of Fear Multiplayer Server. Our Multiplayer Server is good to go, hosted dedicated and used for nothing else but the mod itself, in one of the Top 10 hosting centers of Europe, it provides a perfect ping and Gameplay.